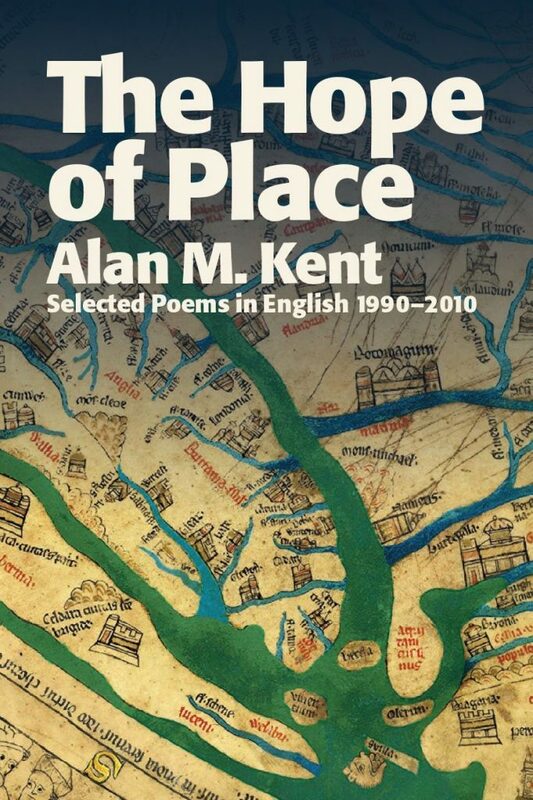 Alan M. Kent is one of Cornwall’s leading poets and one of its most distinctive voices. His subjects are love, death, nature, language, politics and Celticity, intensified by what the author calls the ‘hope of place’ in landscapes at home and overseas, and employing traditional forms as well as dialect and motifs from popular culture. His poetry is rooted in the Cornish literary heritage and offers insights into Cornish identity and history and presents an important re-imagining of contemporary ‘Britishness’. Alan M. Kent was born in St Austell, Cornwall, in 1967. He is a prize-winning poet, novelist and dramatist, whose collections of poetry include Grunge (1994), Out of the Ordinalia (1995), The Hensbarrow Homilies (2002), Love and Seaweed (2002), Assassin of Grammar (2005), Stannary Parliament (2006) and Druid Offsetting (2008). He is also the editor of Voices from West Barbary: An Anthology of Anglo-Cornish Poetry 1549–1928 (2000) and The Dreamt Sea: An Anthology of Anglo-Cornish Poetry 1928–2004 (2004), and the author of The Literature of Cornwall: Continuity, Identity, Difference 1000–2000 (2000) and The Theatre of Cornwall: Space, Place, Performance (2010). He has also translated the Cornish Mystery Play Cycle known as the Ordinalia (2005). The couplet “If you are born Cornish/then the past always weighs heavy on you” from the poem Curse sums up many of the themes in this selection. Although the places that have inspired many of the poems are not confined to Cornwall, the reader is continually aware that they are marked with the historical sensibilities of the seafaring, tin-mining Cornishman. The prize-winning poem The Carvings at Treloyhan describe how “motifs melt and mingle/the way they do in Cornwall,/a layerdness of time” and many of these poems could also be described as contemporary motifs or word-layers. Out of the Ordinalia, written in couplets, is a year- by-year account of Cornwall’s history over five centuries. Occasionally, the poet’s enthusiasm to remind and enlighten the reader of the rootedness of the Cornish literary heritage is overwhelming in this 300-page collection. But these English-medium poems deserve a wide readership outside Cornwall and should serve as stark reminders of how cultural and linguistic diversities have – and are – being eroded under the heel of globalisation. It would be misleading to suggest that all the poems are directly linked to Cornish themes. Other poems such as the astute, humorous portrait Gaining Acceptance: Lady Chatterley and my Uncle and the contemporary surfing-inspired poem Cribbar deserve a wide readership. The title of the collection suggests that places in many respects are monuments to the past. But they are living monuments – and there lies the hope.